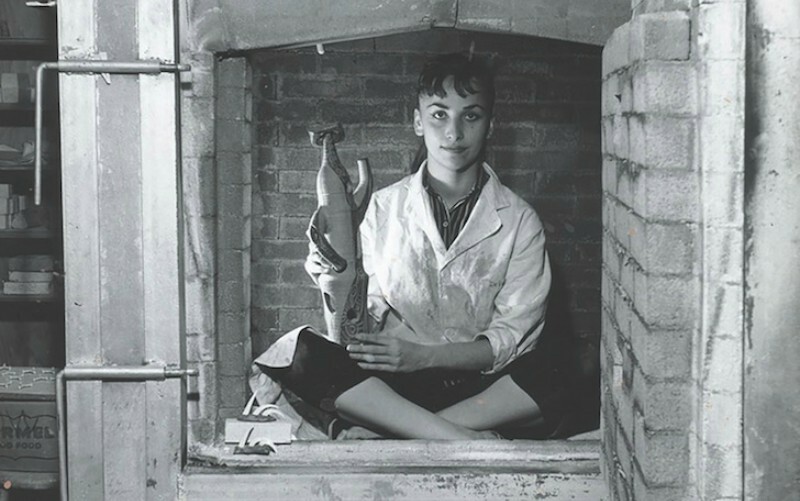 Dora De Larios was a storyteller, and her medium was clay. 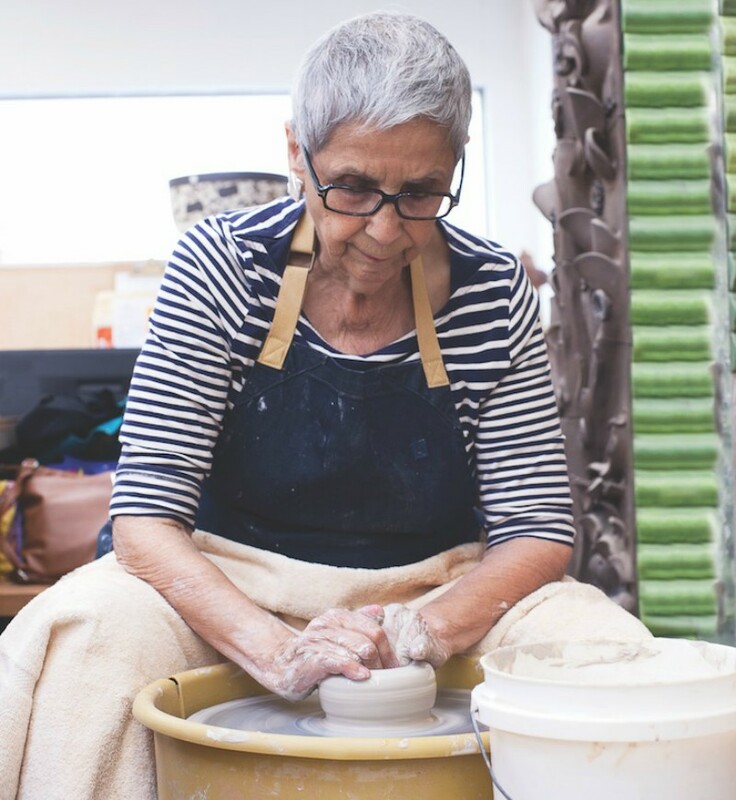 The L.A.-born sculptor and ceramist, who passed away on January 28, crafted intricate vessels and architectural pieces to salute her own Mexican heritage and even pre-Columbian traditions while at the same time evoking multicultural imagery and mythology from Asia, Africa, and beyond. On February 25, Dora De Larios: Other Worlds opens at DTLA’s new Main Museum, offering only the second comprehensive look at the artist’s six-decade career. Something was unleashed in De Larios when, on a childhood trip, she saw an Aztec calendar at Mexico City’s anthropology museum. “It carried me throughout my whole life,” she said in a recent interview while under care for ongoing health issues. The influence is evident in the surly pagan gods and warriors she creates. But growing up near downtown L.A. in the ’30s and ’40s exposed her to the customs of her many nisei Japanese friends, too. The range of cultures in L.A., she said, “provided different ways of looking at things, other than the way I’m used to.” Add to that a fascination with religion and travels all over the world, and it’s clear why much of her work overflows with goddess-like figures and tribal patterns. Other Worlds—which inaugurates the Main’s new 2,750-square-foot gallery—showcases dozens of De Larios’s sculptures and ceramics, plus sketches and notes from her globe-trotting in the early ’60s. There’s also hand-thrown dinnerware, part of a line she started with her daughter and son-in-law in 2012. (During Jimmy Carter’s presidency, De Larios was one of 14 American potters chosen to design plates for the White House—four of those plates are on view as well.) Museum director Allison Agsten, a longtime fan, sees the show as a way to shine a light on a native daughter who, despite a 2009 Craft and Folk Art Museum retrospective, remains undersung. In light of De Larios’s condition, the show “started to seem urgent and necessary,” Agsten says. What will the state of Latino art in L.A. museums be once the Getty’s Pacific Standard Time: LA/LA exhibitions wrap? If it looks anything like this, we’re on the right track. Dora De Larios: Other Worlds, the Main Museum, 114 W. 4th St., downtown; Feb. 25-May 13.